Listening to holiday music videos has been a tradition for many years, and as the tradition continues, more artists create their own songs or different versions of the classics. These are 5 of the top Christmas video songs of all time with details on each and links to pop performance videos on YouTube and ways to free download these Christmas video songs as a local copy. Only one Christmas song in the past 20 years has become a certified classic, and that is Mariah Carey’s 1994 smash “All I Want for Christmas is You.” The Christmas music video captures the song’s fun, exhilarating spirit with clips of Carey frolicking in the snow with Santa. The music video footage was altered to look “aged,” giving the clip a nostalgiac feeling. “Christmas at Ground Zero” is an original song by “Weird Al” Yankovic. It is done in the style of The Ronettes’ numerous 1960s-era Christmas carols, with bells and a saxophone section, and is one of Yankovic’s darkest songs, The music video was made during the 1980s at the time of the Cold War. The video is a montage of old film, television, and news footage, capped off with a live-action scene of Yankovic and some carolers wearing gas masks (Al is not), singing with rubble around them. Jingle Bell Rock, happens to be my favourite Christmas song, because of this Christmas concert put on every year during my childhood. I don’t name “Jingle Bell Rock” as my favourite immediately when people ask, but it is always there, never failing to bring a smile to my face whether I hear it faintly over a radio system or I am blasting it in my car. Classic 80’s Christmas. George Michael delivers a great performance. Wham holds nothing back and is a great addition to any 80’s collector. Get ready to hit the repeat button after you hear it! with synths and a silly beat playing while the band and friends decorate the tree and enjoy some winter fun in the snow. It’s corny, but that’s what makes it fun. Elvis Presley had a multitude of hits on his roster that became synonymous with both his voice and his name, and firmly ensconced somewhere at the top of that list would have to be his heartfelt delivery of “Blue Christmas.” Presley’s original 1957 version was released as a commercially-available single for the first time in 1964. This single was a hit in the U.K., making No.11 during the week of 26th December 1964 on the British singles chart. If you like these Christmas video songs and want to create a library of Christmas music videos on your own computer or portables like iPad, iPhone, iPod, Google Nexus 7, Kindle Fire, Samsung Galaxy S4, here are the easy steps to help you downloading Christmas song videos on Mac with iFunia YouTube Downloader for Mac. 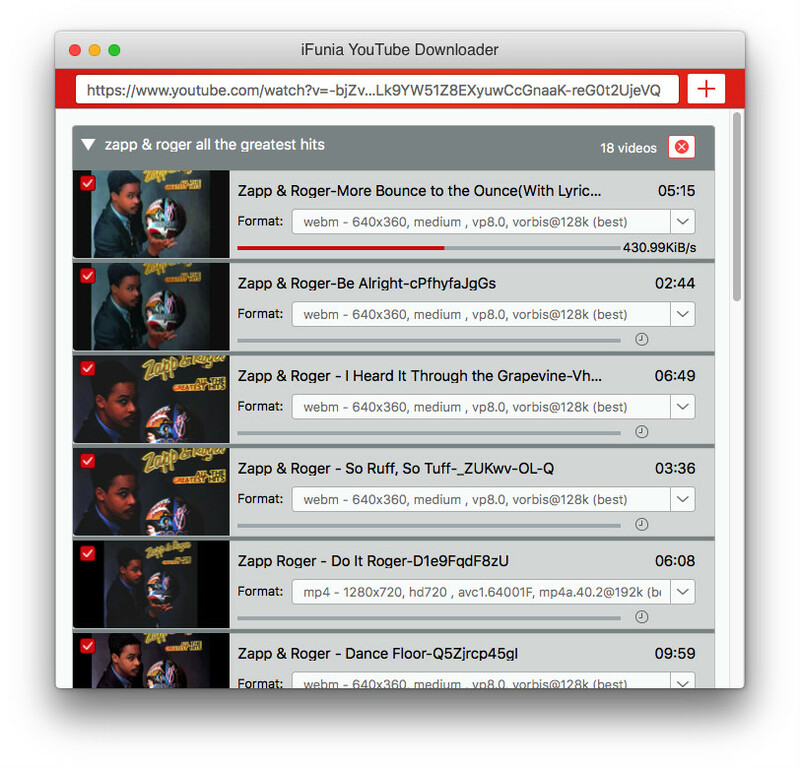 Run YouTube Downloader for Mac and drag&drop the urls of Christmas song videos to YouTube Downloader’s main interface for downloading. 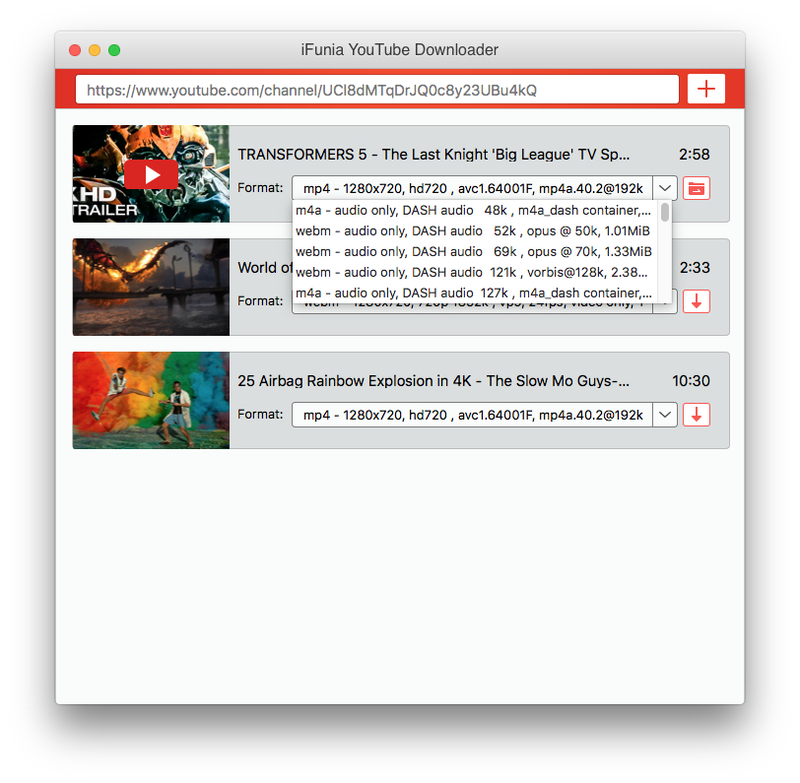 After added the videos successfully, click the drop-down box to choose the format. If you only want to download the song, the mp3 format will be the most suitable. 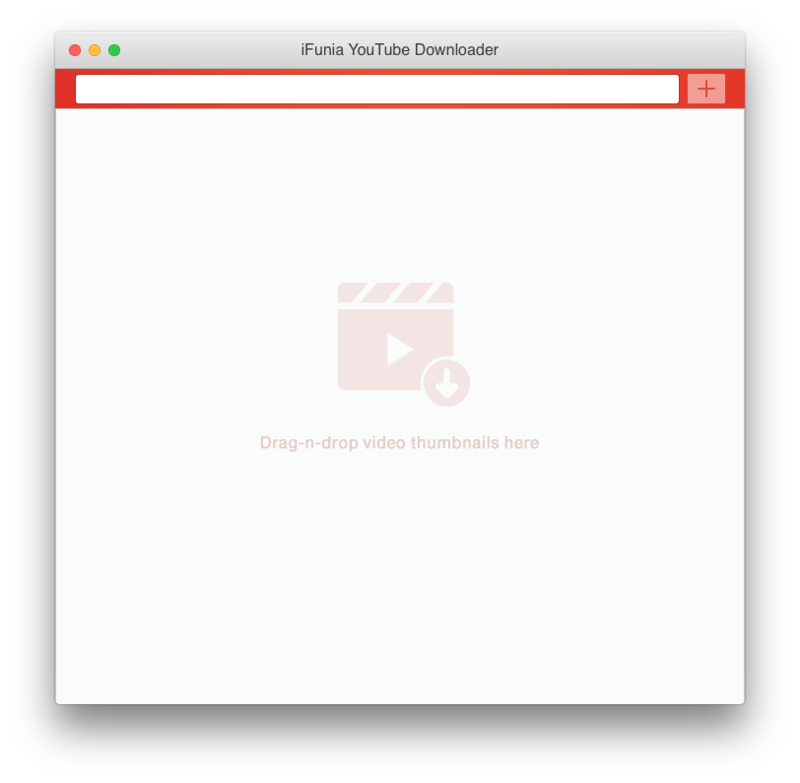 After choose the format, click the Red arrow, all the videos are waiting for downloading. Please make sure the video urls are right.